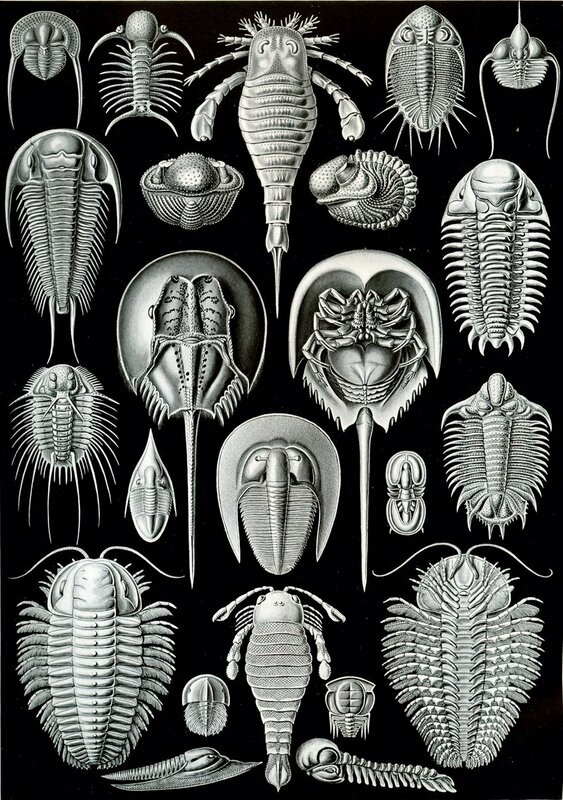 Ernst Haeckel’s highly detailed artwork often features living and extinct organisms, such as his plate of horseshoe crabs, sea scorpions and - you guessed it - trilobites. We have as trilobite collectors and preparators visited numerous fossil shows and carefully observed and studied faked trilobites. This experience and knowledge acquired over many years affords us the ability to quickly identify faked specimens, a task that is likely precluded for laymen who are unfamiliar with how fake trilobites are fabricated, and therefore unable to spot the cues of fakery. It is unfortunate that, at this time in 2003, the trilobite market is inundated with fakes, and as the skills of those plying the trade are continuously improving, making it ever harder to distinguish real from fake. Accordingly, we are compelled to share in a comprehensible way our experiences in recognizing fake trilobites. We also note that there is no way to have trilobites vetted for authenticity in commercial venues, such as the internet, especially e-bay, in shops or at shows, and no actions are taken against sellers who knowingly sell fake material (i.e., like exclusion from shows and/or legal action). The environment facilitates some dealers in taking advantage, to the detriment of those who are honest. 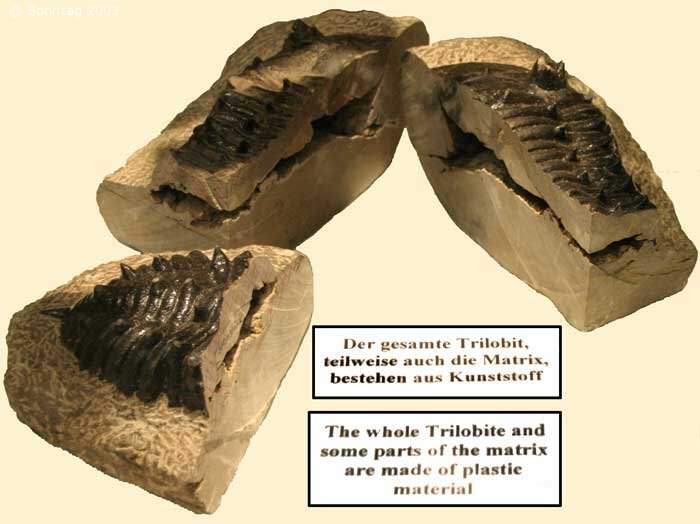 Horst Burkard undertook to investigate the multiplicity of fake trilobites coming from Morocco by the ultimate means of dissecting them with a saw. The results of the destructive investigation were displayed during the Hamburg Fossil Show in 2003, which allowed the photos in this article to be taken. Seems there is a cottage industry in Morocco. Details & pics: http://www.fossilmuseum.net/collect/faketrilobites3.htm. Jeebus. Is there really money in faked edobites? You say "fake" trilobites, I say trilobite tributes. That said, I'd like a *real* fake trilobite. 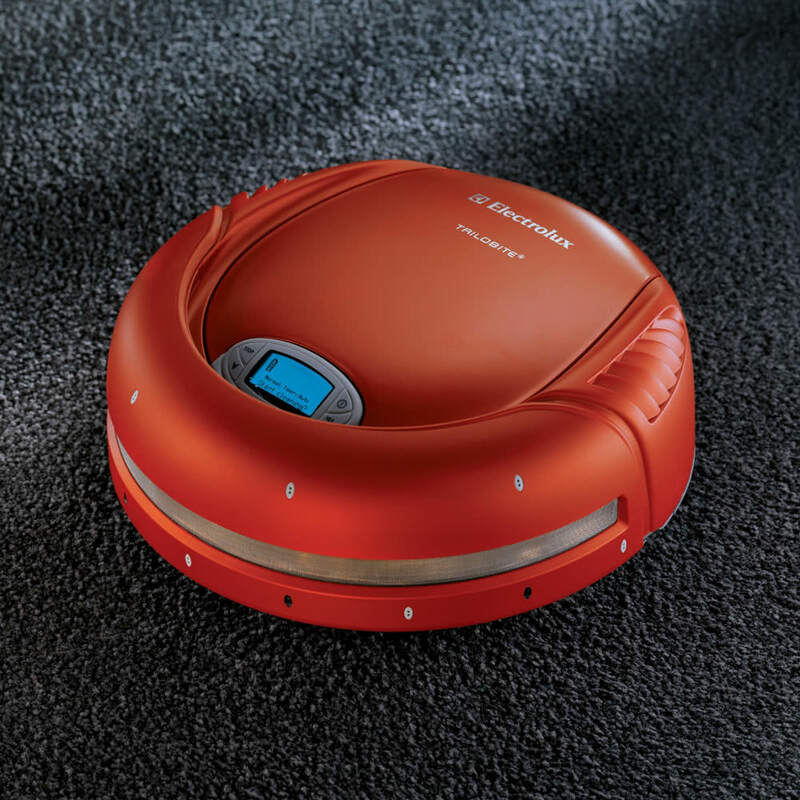 Something robotic and "living". You cannot have a pony. Abdul Alhazred wrote: You say "fake" trilobites, I say trilobite tributes. It being Floridor, do you ... ahem ... wrassle the critters as it might be alligators? Too dangerous for a white man. Moral: if you want to still interest chicks 250+ million years later, be a trilobite!